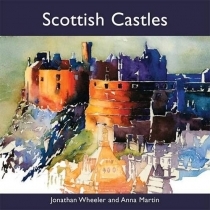 In this unique collection of vibrant watercolour paintings, Jonathan Wheeler captures the essence of many of Scotland's most iconic castles, including Edinburgh, Urquhart, Eilean Donan and Stirling. Whether in the midst of a bustling city or a hidden jewel on a windblown cliff top, the vivid and glorious colours in Jonathan's paintings reflect the drama, romance and passion infused in their ancient walls.From east to west and highland to lowland, the paintings mark Jonathan's many journeys around Scotland. His very personal artistic interpretation inspired the rich and evocative texts written by Anna Martin. 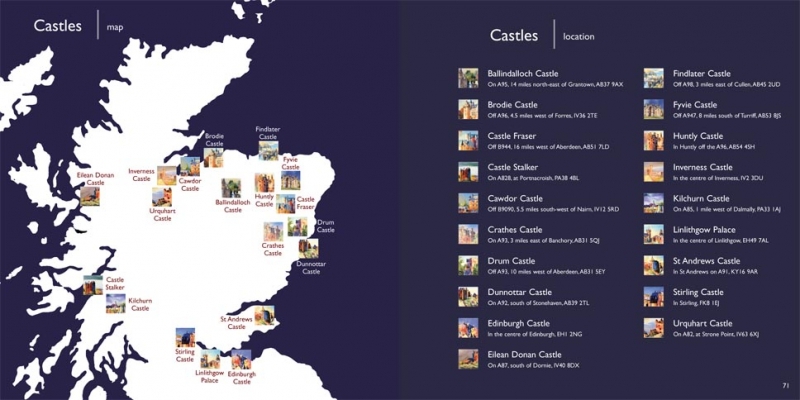 Together, the words and paintings combine to bring the spirit and stories from each castle to life.